The UBC SPPH Continuing Education Program delivers professional development for health professionals with a commitment to maintaining and enhancing professional competence. 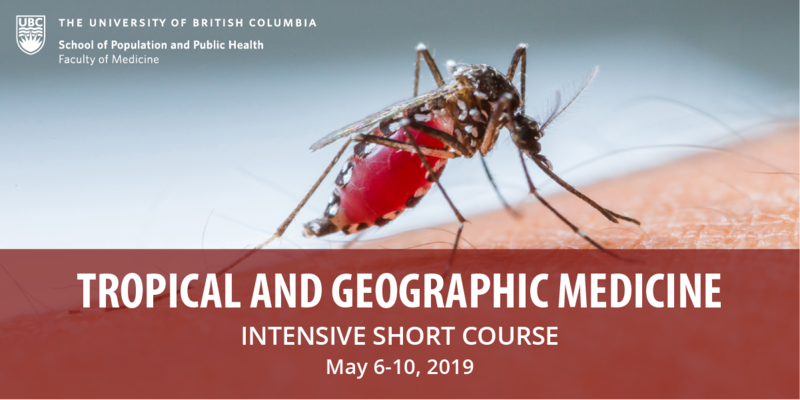 First of its kind in western Canada and offered since 2014, we developed the Tropical and Geographic Medicine Intensive Short Course to provide health professionals with training on a clinical approach to the evaluation and management of tropical diseases. A laboratory component in the curriculum allows learners to acquire practical laboratory skills to identify parasites important for the diagnosis of tropical disease. An important element in this course is the inclusion of a public health focus on management of tropical diseases including outbreaks. Outdoor Air Quality and Health and the Air Quality Health Index online course is now re-opened! Course enrollment is now accepted. Please click on above to view details. If you have specific requests for occupational and environmental health and safety training courses for your professional development, please contact Lydia Ma.